Dinosaurs move their heads, arms, tails etc., and make noise. Some of the dinosaurs are very big and quite loud, but due to their positioning you do not need to be really close to see and enjoy them, so if you think young kids may get scared just stay back a little initially. There is information & interesting facts displayed with each of the dinosaurs. There is a photo board for some great photo opportunities. Use the Adelaide Zoo phone App to hear a keeper speak about each of the dinosaurs. You can download a colouring in sheet at Adelaidezoo.com.au/dinosaurs and colour for your chance to win 4 tickets to the Zoo plus a chameleon encounter experience! 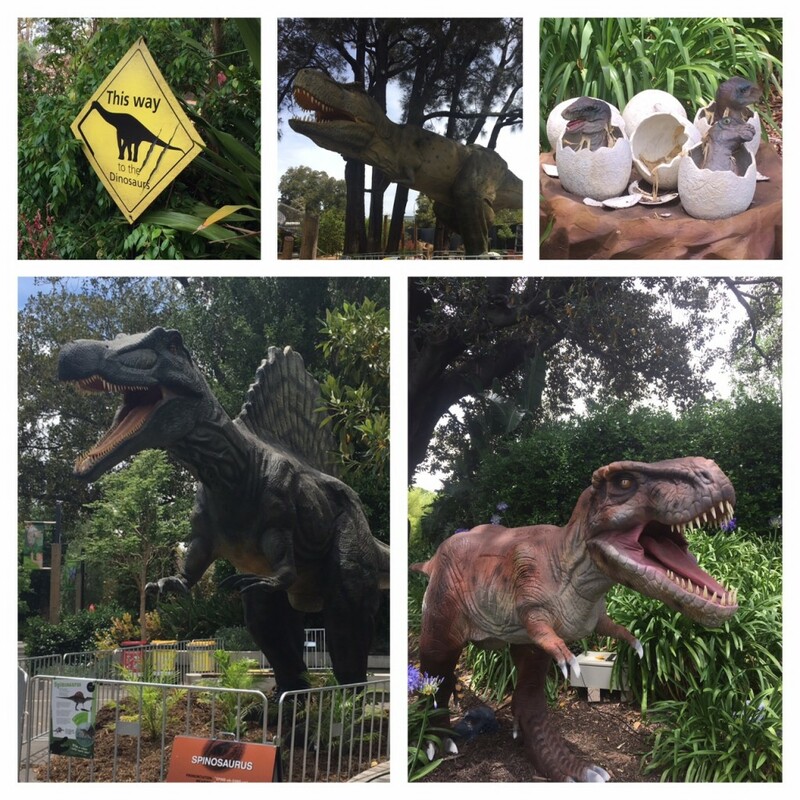 Take a selfie with the dinosaurs and share it with #AdelaideZoo for your chance to win a Giant Tortoise encounter! The Dinosaurs will become extinct at Adelaide Zoo on January 29th, so get in and see them before it’s too late! 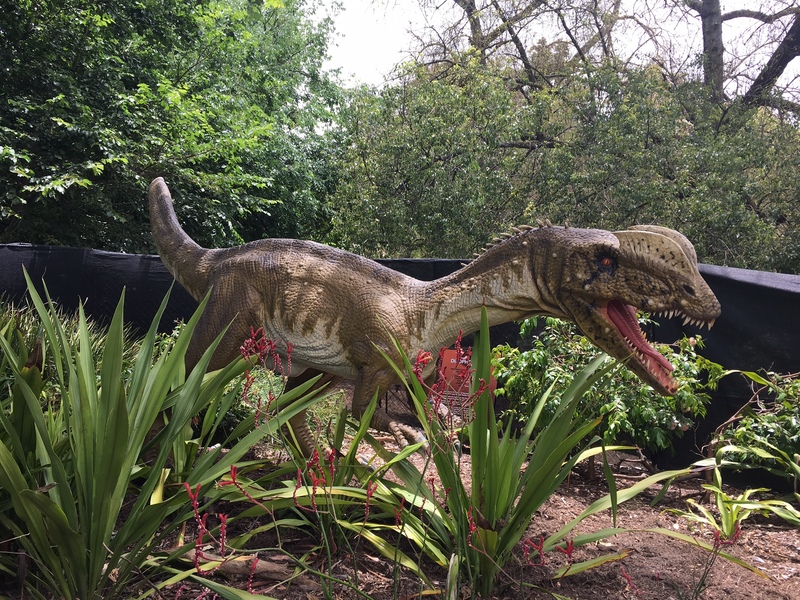 If you need any more information on Dinosaurs Alive at Adelaide Zoo you can visit the Zoo website here.